Talking About Health; Why Health Communication Matters » Journey… isn’t that a great name for a dog? Journey… isn’t that a great name for a dog? There is a new member in the family. 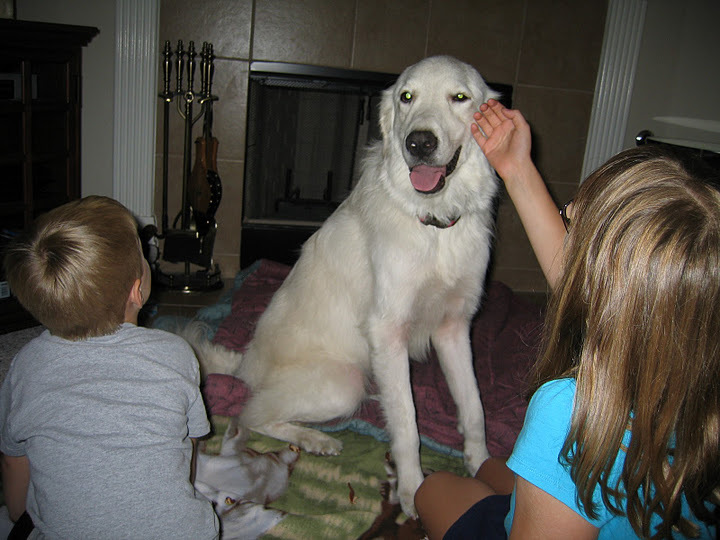 My grandkids have a new pet friend. Her name is Journey. 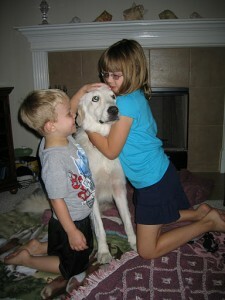 And she reminds me of why kids and gentle big dogs go so well together. The dog is gonna get a lot of love… Something that comes through in this video as well. « Inquiring minds want to know–floss before or after brushing? This entry was posted on Tuesday, October 11th, 2011 at 3:01 pm	and is filed under Health identities. You can follow any responses to this entry through the RSS 2.0 feed. You can leave a response, or trackback from your own site.